Louise Blackwick is a next-generation fiction writer, author of science fiction/fantasy novels, surreal short-stories and narrative poems. 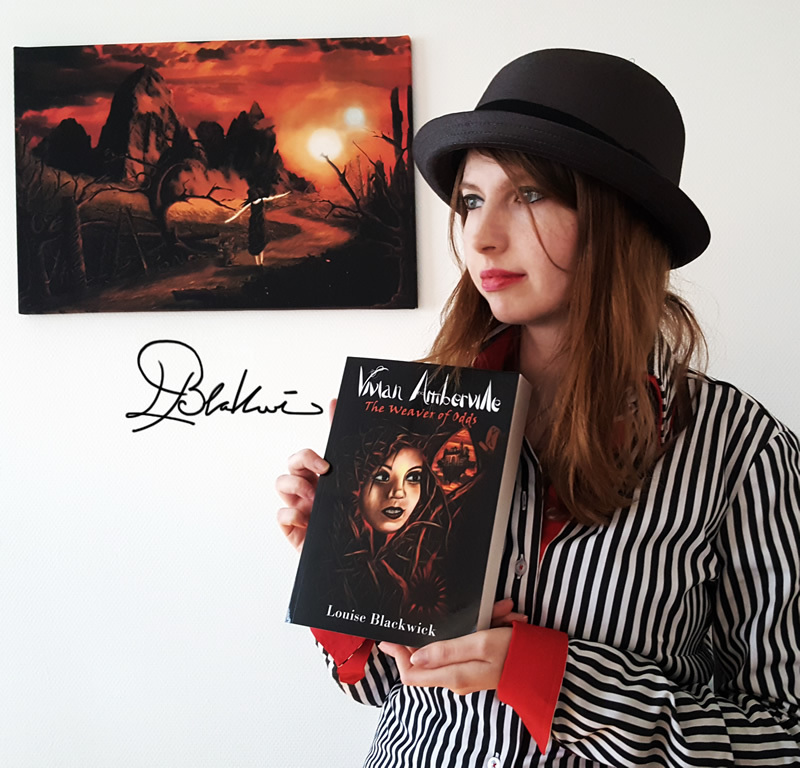 Louise Blackwick is particularly known as the writer of the international bestseller "Vivian Amberville - The Weaver of Odds", which follows the epic adventures of a girl whose imagination can reshape reality. "Vivian Amberville - The Weaver of Odds", the first novel in a series of five books, was released November 2016 on eBook and March, 2017 on paperback. It sold an estimate of 2.4 million copies worldwide and was popularly acclaimed by a score of metacritics, most of whom have compared her narrative style with C. Paolini, J.K. Rowling and E.R. Eddison. For short fiction, Blackwick claims her greatest influences were the father of surrealism André Breton, the twisted storyteller Edgar A.Poe and the existentialist Kafka. At times, she unweaves the general conventions of space and of time, bending them at odd angles into a mesmerizing and surreal dream construct. Blackwick primarily considers herself a "fantasy novelist", though the erudite complexity of her work has been appraised to exceed the genre of fantasy. For epic large-scale fiction, Blackwick greatly looks up to the legendary Tolkien and C. S. Lewis. Upcoming books from the author include: the humorous science fiction novel "God is a Robot" and the much-awaited sequel "Vivian Amberville - The Book of Chaos"
Read this Fox News interview of Louise Blackwick, in which she talks about the writing of the 2017 Young Adult bestseller "Vivian Amberville - The Weaver of Odds"